At the beginning of this article, we will talk about the Beechcraft King Air C90GTx Type Rating requirements. Secondly we will discuss Beechcraft King Air C90GTx training and providers of training. Type ratings are usually required to fly larger, more complex aircraft. The Beechcraft King Air C90GTx is one aircraft that doesn't require a type rating to fly. In fact, all King Air C90 series turboprops do not require a type rating. The Federal Aviation Administration (FAA) does not require a type rating for the aircraft. The European Aviation Safety Agency (EASA) and its member countries likely do not require a type rating for the aircraft. One of the main factors that allows pilots to fly the King Air C90GTx without a type rating is due to the fact that it does not exceed one of the weight requirements for a type rating aircraft. Also note that some other aviation regulators may require a type rating for the turboprop. There are many companies providing flight training for the Beechcraft King Air C90 series turboprops. 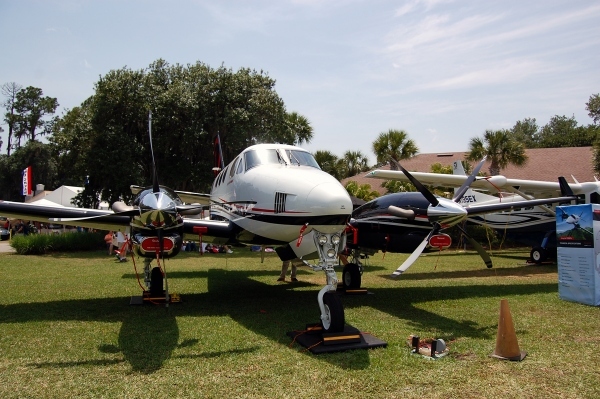 There are only a few that provide specific training for the King Air C90GTx. FlightSafety International is one or the main training providers for the King Air C90GTx. They have a full program for the C90GTx and also have a King Air C90GTx simulator that has the Rockwell Collins Pro Line 21 avionics suite. Many other training companies provide training for the overall C90 or 90 series, however, it is not clear if many of them provide specific training for the C90GTx version. If you provide any training services for the Beechcraft King Air C90GTx, please contact our Aviation Resources team to get listed on this page and / or let us know about your training services. We regularly have people interested in aviation training and we would like to learn more about your company. Also, if you provide training for the King Air series turboprops or training for any airplane, feel free to contact us to let us know about your service. Above Beechcraft King Air C90GTx photo by FlyRadius.